About Us - Fitness at 40 50 60 and Beyond - HighPoint Products. My name is Michael Spitzer. Let me first thank you for visiting the site and learning more about us. 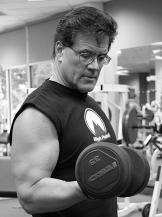 I am the author of FITNESS at 40, 50, 60 and BEYOND. 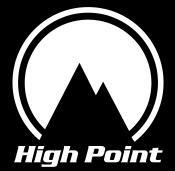 I am also the founder of HIGHPOINT PRODUCTS. 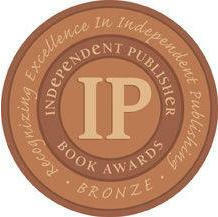 Instead of the usual "About Us" you see on web sites, I wanted to personally tell the story behind the book and the company. I feel by telling my own story, it will be easier for you to understand why I was motivated to write this book and offer information and products that will help others. In the 1970s when I was a teen, I got interested in weight training and supplements as a result of seeing the movie PUMPING IRON and also reading Joe Weider's various muscle magazines. Later I discovered Robert Kennedy's MUSCLEMAG publications. From that point, exercise was a part of my life - although looking back now, I realize my consistency and technique was not always the best during those youthful years. For most teens and people in their early 20s, it is easy to get distracted by other interests and activities. During those same years I was working a full time job during my last 2 years of High School. I also had to work a full time job while attending college to pay for tuition. The summer breaks were spent working 2 jobs to save up extra money for the upcoming school year. As one might expect, I failed to train on a regular basis during those years. Immediately after graduating with a degree in Chemistry, I headed to Florida in my 1969 VW Beetle with $100 in my pocket and everything I owned in the back seat. The next few years were spent establishing a career and marrying the woman who has also been my best friend for over 28 years now. Eventually some associates in the laboratory industry and myself took the chance at starting our own company. For the next few years, we experienced the classic business start up challenges working 7 days per week, 15 hours per day trying to get the company off the ground. Again, during these years almost no time or attention was given to diet or exercise. Too many fast food meals and time spent entertaining clients combined to create an unhealthy environment. My weight started to approach 240 pounds. In time, our efforts began to show success and our company grew to be one of the largest of its kind in the State of Florida.